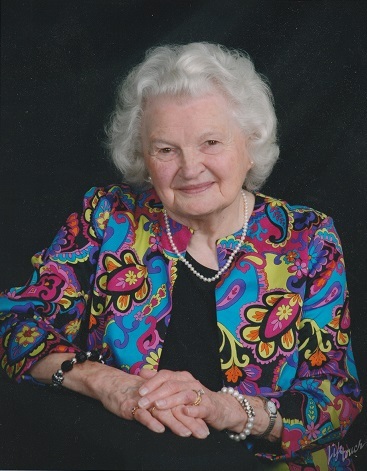 MIDLOTHIAN- Helen Elizabeth (Drummond) Skidmore, 92, of Midlothian went peacefully to be with her Lord on Thursday, February 15, 2018 at the Frostburg Village Nursing Center. Born December 12, 1925 in Frostburg, she was the daughter of the late James Turner Drummond and Dora Duvall (Dickey) Drummond. She was preceded in death by her husband Darward Skidmore. She was the last surviving member of her immediate family. Helen was a homemaker. She was a member of the Midlothian Trinity Assembly of God Church. Family and friends will be received at the Sowers Funeral Home on Tuesday, February 20, 2018 from 2-4 and 7-9 p.m.
“Going Home” celebration will be held at the Trinity Assembly of God Church in Midlothian on Wednesday at 11 a.m. with Rev. George Loar officiating. Great- grandchildren will be pallbearers. The family would like donations be given to an ALS Association.